The Armed Forces Para-Snowsport Team (AFPST) does something special. It provides a new focus and freedom from disability for Wounded, Injured and Sick (WIS) personnel, both serving and veteran. There are many of us that would find the challenge of skiing or snowboarding daunting enough as it is. But this charitable organisation – run entirely by military and ex-military volunteers – encourages WIS personnel to get involved in adaptive snowsports, whether they have a physical or hidden injury. Competition, training, commitment and being part of a wider team are central to military life. These are the things that are often missed by those who have been discharged or are still recovering from injuries sustained during their service. This is where AFPST can help. AFPST use adaptive Alpine skiing, Nordic skiing/biathlon and snowboarding to support and enhance the recovery of WIS personnel. It improves confidence, resilience and skills following injury, and reintroduces the challenge, competition and being part of a team, that comes with military life. For those who are keen to continue their journey, it offers a chance for them to compete at different levels – from military championships – all the way through to the Paralympics, and, as CEO (and founder of Battle Back) Brigadier Fred Hargreaves says, to join their ‘snow family’. 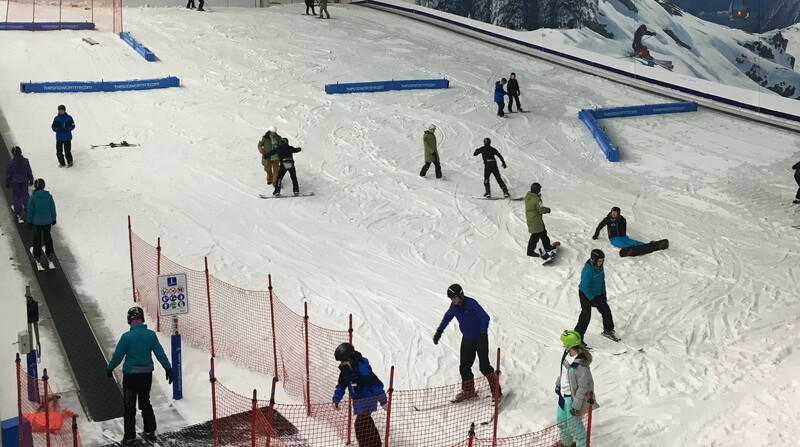 We were lucky enough to sponsor AFPST Newcomer’s Event on May 1st and meet some of the people looking to get started with snowsports, as well as those who already train, instruct and compete. The day gives WIS serving and veteran personnel the opportunity to experience alpine skiing and/or snowboarding, with experienced military and ex-military instructors. As I approach former British Army Sergeant Kevin Drake and Ex-Navy Marine Engineer Kirk Hughes, to ask them about the day, my initial question is ‘Are you instructors?’. As you can imagine, they’re no strangers to sport. After being injured in Afghanistan in January 2013, Kevin joined the MOD’s Battle Back programme, an adaptive sport and adventurous training programme for WIS personnel from across the armed forces. It was at this point that he had his first experience of sit skiing. Following several operations that resulted in his leg being amputated, he was discharged from the Army in 2017 and has since gone on to become a medal winner at the 2017 Invictus Games. So, has his experience in training and competition for the ‘summer’ sports events given Kevin a taste for training and competing in snowsports? Well according to Kevin it’s more about his wife wanting to ‘get him out of the house’, but we suspect he is headed for success. Having trialled two-track skiing at the AFPST event, he will join their programme with the end goal of racing and competing. AFPST athletes compete in a wide range of sports, so Kevin will be able add skiing to his list. Kirk Hughes, a former Marine Engineer in the Royal Navy contracted Meningitis in 2000 while on exercise. This resulted in a painful nerve condition affecting his legs, and only recently did he undergo an amputation. He says, ‘I wanted to try a new sport. I play Tennis and Basketball (wheelchair), so I thought I’d try something different.’ He says the joining the AFPST programme gives him the opportunity to ‘develop into a new sport’. Both Kevin and Kirk competed in the 2017 Invictus Games, bringing back Bronze for the UK in the Wheelchair Basketball, and Bronze for Kirk and Gold for Kevin in the Wheelchair Tennis in their respective doubles. Newcomer Paul came to the event to try out snowboarding. The sport is experiencing an increase in popularity, and AFPST are keen to build and develop their snowboarding team. Paul has come through 36 operations and decided that snowboarding would be a good ‘outlet’. He says, he ‘loved it. 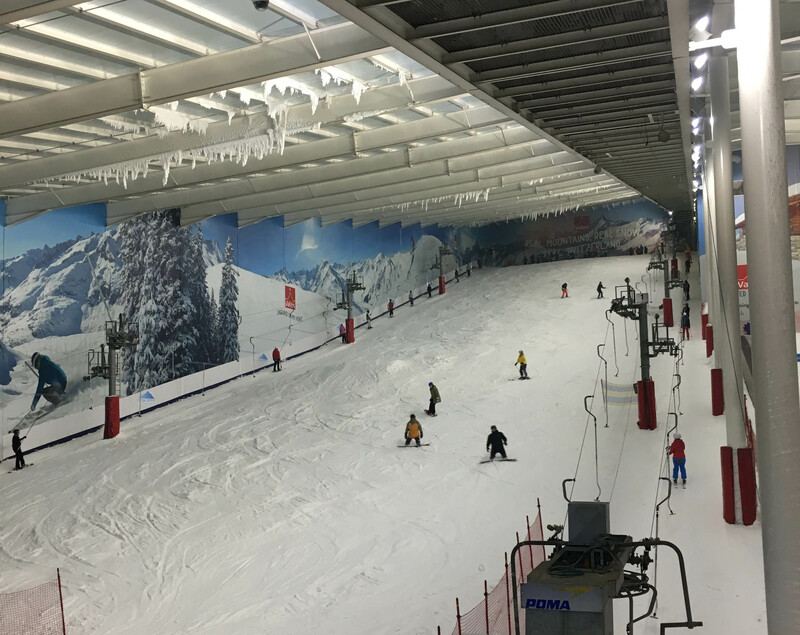 The instructor was great and had me zigzagging down the slopes.’ He also explains that snowboarding is ‘easier on balance’ following his injury. Darren Swift, ‘Swifty’, a passionate snowboader, was the first and at the moment the only double above the knee amputee in the world to compete in snowboarding. Having joined the AFPST programme in 2015, he is now coaching Lee to become the second double above knee amputee competitive snowboarder. AFPST encourages their athletes to go on to coach newcomers. The idea, according to Swifty is to ‘grow coaching capability within’. With Lee carrying on his training despite sporting an injury on the day of the newcomer’s event, we’ve no doubt they’ll achieve this goal! This is a charity that puts recovery aided by performance and competition at the heart of its activities. No matter what your skills, whether you want to achieve the ultimate goal of participation in the Winter Paralympic Games, or simply learn a new sport that you can continue to enjoy on more of a leisure basis, AFPST welcomes all WIS personnel who have an interest in snowsports as part of their recovery plans. So, in the words of Swifty, ‘Why wouldn’t you?’. For more information on how to get involved, visit the AFPST’s website.